Not able to measure activity throughout sales funnel (Exception: 42% of companies) whereas being able to measure return on every marketing activity is important. The best solutions again come down to the basic things such as understanding your client’s needs and having good communication with them. We have come up with 5 B2B Lead Generation Marketing tactics that will explode your company’s growth. 1. Determine your goal so that you don’t run ads in the wrong direction. It can be increasing your subscribers, sales, or brand awareness. 2. Determine the budget for your ads campaign. 5. After everything to keep your visitors engaged, create attractive landing pages. Don’t fool your visitors by not giving them what you promised. To get more visitors, run the ads on more PPC search engines. Make sure to follow the search engine rules. 6. Finally, make sure to measure your results by monitoring your campaign closely. 85% of marketers have found that ABM delivers them higher ROI than any other Lead Generation Marketing tactics (ITSMA). Though we get many lead generation questions for account based marketing still there are challenges like getting enough budget, hiring the right talent, and justifying the cost, ABM presents a strategized approach for increasing ROI. You might think ABM requires time to take off but there are ways you can still measure your success even before it is obvious. How can you do your ABM to achieve better results? 2. Find out your ideal buyer profile and define the parameters that decide who are fit for your products and services. 3. You need to reach an audience in an approachable way. 4. Later, do granular segmentation using CRM tags and give them a personalized experience. As per Yotpo study on 30000 businesses, the organic page visits increase over a period of months as shown in the graph. Reviews and testimonials help customers to build trust in brands converting them into customers. Getting positive reviews on these sites is more helpful than sitting reviews on your own website. 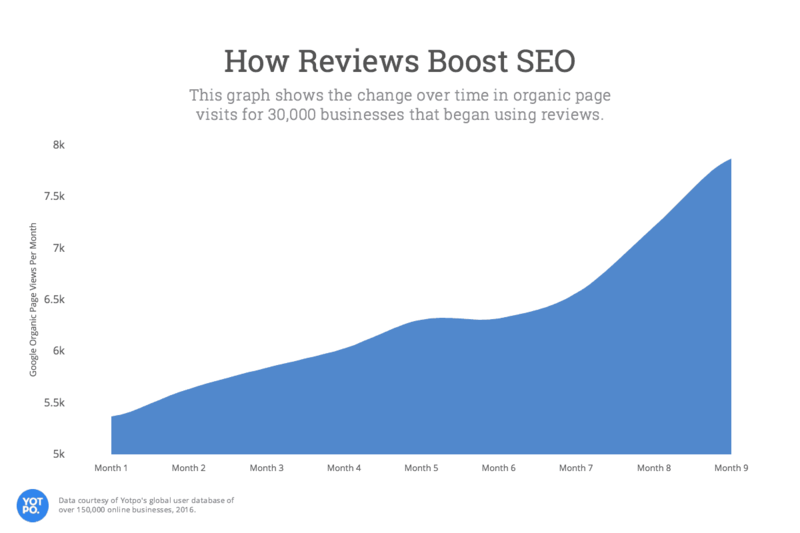 The review sites are already highly optimized for SEO and thus you benefit from their visibility. You simply have to go to these sites and register yourself. Reviews will contain both positive and negative feedback but you can forget the effectiveness of this Lead Generation Marketing method. Never forget the power of this another Lead Generation Marketing tactics. If you are able to target your audience by means of personalized emails, it will solve most of your problems. If you segment your contact list based on their lead status, demographics, etc. and target your emails according to their needs. With strategic planning and targeted content, you will be able to increase your brand awareness. With many other marketing methods, it is difficult to measure the success of any campaign. Whereas, with email marketing, you can measure delivery rates, open rate, click-through rate, and subscriber retention rate. As email marketing addresses to people who have agreed to receive information, email marketing by further efforts can bring the conversion rate to higher levels. Email marketing is also cost-effective as email marketing brings 40$ for every 1$. Why not look for email marketing strategies? After coming to know about products & services, 80% of people look for your website. An attractive website is a hub for the firm’s online presence. This is where you build your visibility because potential clients search online for products and services. Optimizing your website content and your blog content plays an important role in increasing your visibility. You can display your firm’s expertise and gain more customers. When the prospects are directed to your website newly, you need to build engagement using CTAs. If you target your offers to attract your ideal buyer’s persona, you will get more qualified leads. UI/UX plays an important role in keeping tisitors engaged. Design your UI to help visitors navigate easily through your website. Later, you can use email marketing to nurture these leads & by driving still more engagement, you can finally, convert these leads into customers. These were a few Lead Generation Marketing strategies you can implement to grow your business. There are other things like Search engine optimization, referral marketing, marketing automation, etc which we can focus more in order to increase ROI. Let us know about what marketing tactics work best for you in the comment section below.